Just when you thought you’d seen it all; here comes yet another line-blurring genre of e-bikes. As far as we know its currently the only one of its kind available, especially since we just finished building it ourselves! 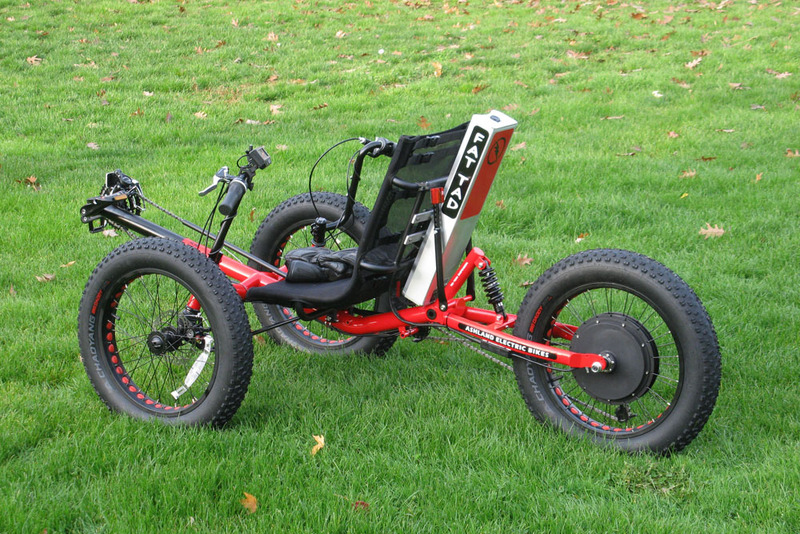 We’ve taken the brand new Fat Tad trike by Sun Seeker and added a hefty helping of electric oomph to make an incredibly fun-to-ride, go-anywhere rig. This bad boy sports a 500 watt direct drive motor, a 48V 15AH lithium ion battery, 25 amp Infineon controller, manual thumb throttle, and to make sense of it all, a fully programmable Cycle Analyst computer. The powerful drive train is paired with 3×6 speed SRAM X4 deraillers, dual front Promax disc brakes, full suspension, 20″x4″ knobby tires, and a beefy rear utility rack. 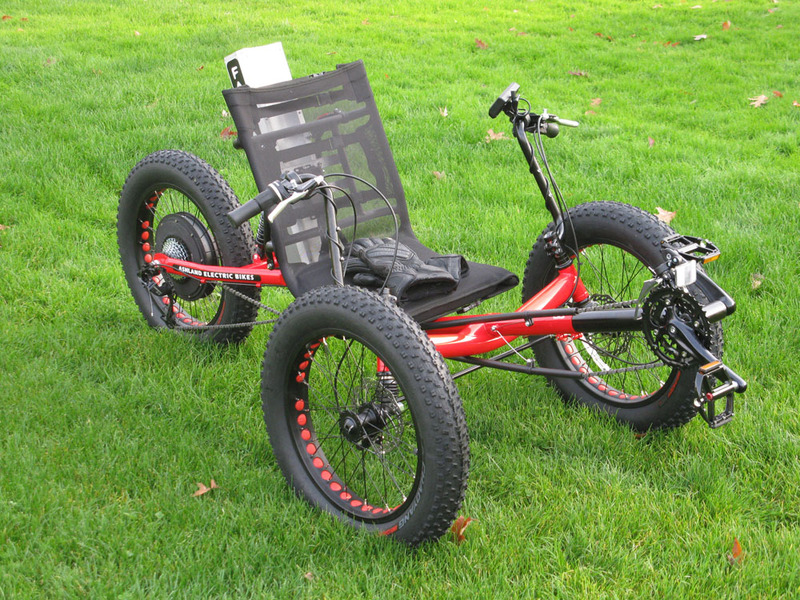 If you’ve ever ridden a tadpole trike you know how unforgiving the ride can be. The full front and rear suspension on this version is a complete game changer. Now you can have the sporty performance of a tadpole with the comfort of a suspended bike. The motor is wound for maximum torque. Laced into this small 20″ rim, its a very strong puller with no shuddering and virtually silent operation. 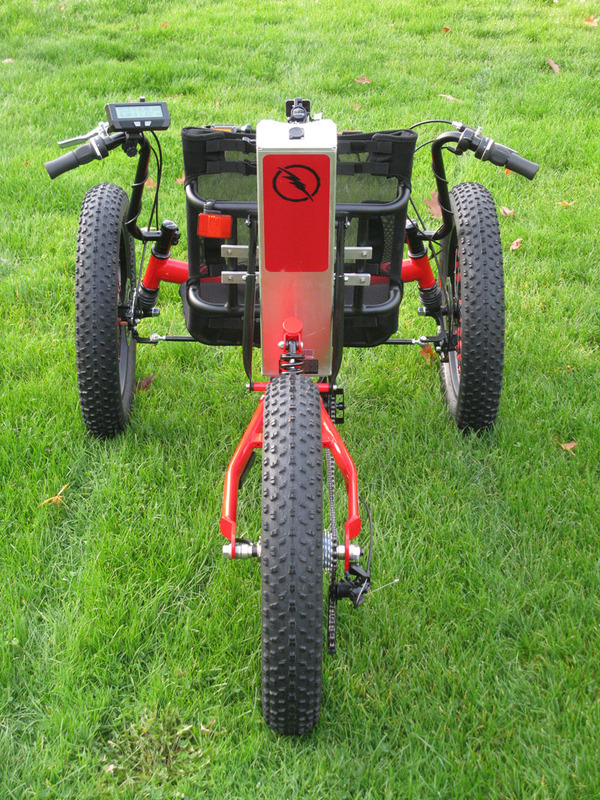 The 48 volts delivered at 25 amps assures that you still maintain a healthy 22+mph top speed. The 15AH capacity promises the possibility of 50 miles per charge. This bike is a lot of fun to ride. You can point it just about anywhere and it’ll get you through to the other side. 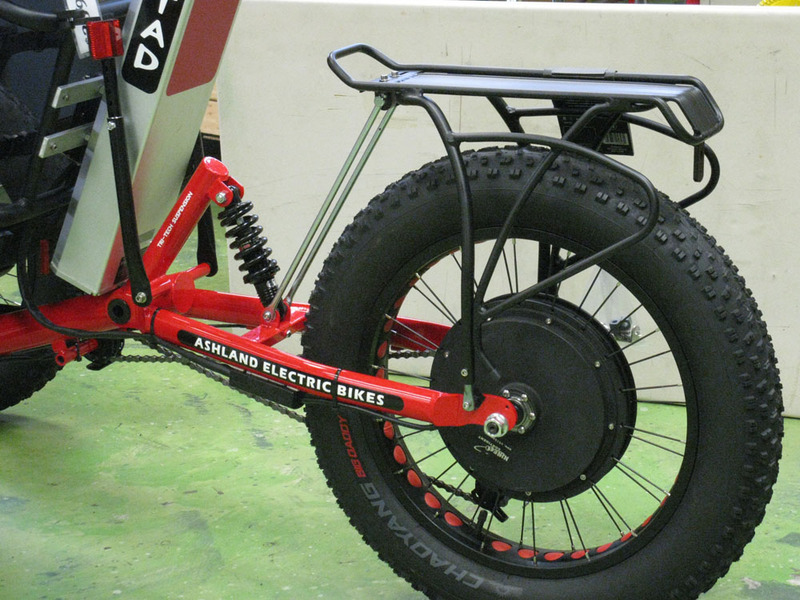 Whether your adventures take you to the beach, the forest, the snow, or simply bombing around town, the Fat Tad Electric Trike could be the bike for you. Priced at $3699, we don’t expect it to be around for very long. Our current plans are to only build two of these limited edition rigs, so don’t wait too long to come check it out!